Boil water fast with the BLACK+DECKER™ 1.7L Stainless Steel Electric Kettle. The 360-degree swivel base allows easy filling and pouring with the cordless kettle. The stainless steel exterior is built to last, and it looks great in any modern kitchen. Plus, the removable anti-scale filter helps prevent mineral buildup from passing through the spout, so you get fresh, hot water for tea, hot cocoa, instant meals, oatmeal, French press coffee, and more! 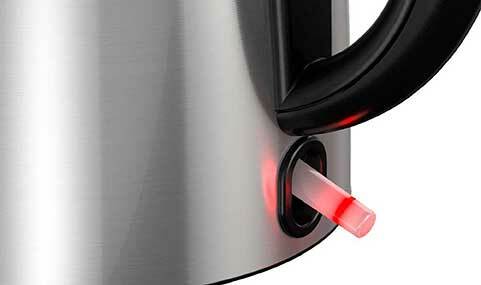 This safety feature turns off the kettle when water comes to a boil or when there’s no water remaining in the kettle. 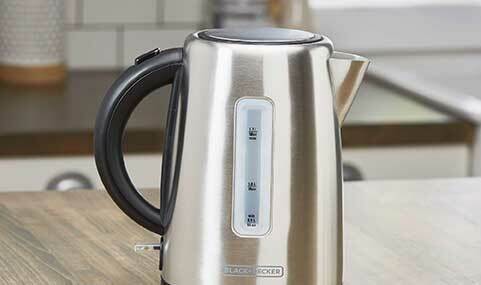 For peace of mind while multi-tasking in the kitchen, the kettle automatically shuts off after boiling. 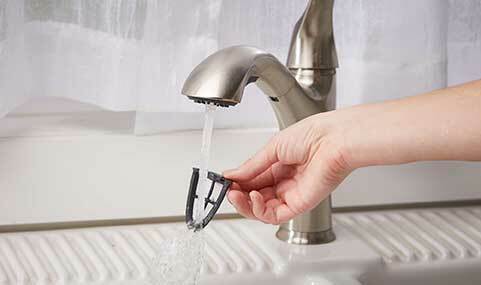 The filter attaches behind the pour spout to help keep lime scale out of your beverages. Removable for easy cleaning. The clear water windows on each side of the kettle include water level markings so you can boil the perfect amount of water for tea, coffee, and other recipes. 1.7L Stainless Steel Electric Kettle is rated 4.0 out of 5 by 40. Rated 4 out of 5 by Arosa78 from Heats up fast Great kettle. We've been using it for about a month and I believe it has developed a rust stain. It heats up water super quickly but now it's unusable, unfortunately. Rated 5 out of 5 by Budgiebee from Great Electric Kettle This kettle heats water fast without using your stove. Plenty of water for coffee, tea, instant cereal, hot chocolate. We love it in our household. Rated 4 out of 5 by Ichigo from Lots of hot water My wife has been wanting an electric kettle for awhile now. She was so excited when I got this 1.7L Stainless Steel Electric Kettle from Black and Decker. She isn't a coffee drinker but prefers tea. When making hot water for tea she either had to boil water in a pot of microwave a cup. This electric kettle boils water much quicker than on a stove. Not as fast as the microwave but the microwave limits the amount of water to the size of the mug. She likes to brew large tumbler size teas. This one lets her heat up 1.7 liters(58 oz) at a time. It's super easy to use. The pot itself is cordless. Add the desired amount of water, set on the base, push down the switch that lights up, and in a few minutes the water boils and the kettle turns off itself. Just pick it up from the stay cool handle and pour. I've found I use it too for instant oatmeal and grits in the morning. Also great for other hot instant drinks like apple cider and hot chocolate. I give it 4 star because the lid doesn't open all the way. It's hard for me to get my hand in there to scrub it. Yes, we're just boiling hot water but we still like to give it a scrub now and then. Definitely recommend. Rated 5 out of 5 by KellyCrow from Really Fast Electric Kettle I received this electric kettle for free in exchange for my review. This is the fastest kettle I have ever used. Boiling water in a few minutes. The extra features like automatic shut of after the water boils and when it becomes dry. I really like the base and no cord to the kettle. The anti-scale screen is a added plus. Though I havent used it cause we use distilled water. Overall this is a nice quality electric kettle you wont be disappointed. Rated 5 out of 5 by Susieq from Simply the best thing ever!! I received this a couple of weeks ago and so glad I did! My son just recently started prek and I mainly use it to pour hot water in his thermos before putting food in there so it stays extra hot. Also since the water is hot already, I make myself a nice cup of tea and a cup of coffee for my husband. Makes getting ready in the morning easier since things can get a bit hectic. Buy this! You will not regret it! Rated 5 out of 5 by Miamimom from Great for traveling This kettle is great. It took 6.5 minutes to boil when I filled it to the top. It holds a lot of water and is great for traveling or just to keep on the counter. It's much more attractive than those white plastic ones. I like how the kettle doesn't have a cord so I can easily remove it to bring to the table for tea without dragging along the plug. Overall I'm extremely pleased. Rated 5 out of 5 by AwkwardSculptor from Saves so much time!! I have been heating my water in the microwave for tea for years and it was fine. But then I got this electric kettle and I will never go back! Its quick, easy, super easy to clean, and when its done boiling it turns itself off so you don't have anything to worry about. I would 100% recommend this Black and Decker electric kettle to anyone I came accross. Rated 5 out of 5 by Dz424 from Aweseome Kettle! I used to microwave my water to make tea, but then I woke up and realized how bad microwaving really can be. So it's so nice to have a quick easy alternative. I love that it is cordless and I don't have to worry about it taking up too much space. The auto shutoff is what I need every appliance to have (because pregnancy brain is so real). I use it everyday and have had no problems! Highly recommend! Rated 5 out of 5 by Chunk30 from Great features! I have an old small kettle for on the stove that I use in the winter. This is so much nicer. I love the stainless steel exterior, it fits in with other appliances in my kitchen. The one touch lid release button and stay open hinged lid are great features to have. I love that it turns 360 and can detach from the base. Also, the automatic shut off is great to have incase I would forget to turn it off. Rated 5 out of 5 by Krystie from Best way to boil water, better than microwave. After using my electric kettle for the last couple of weeks I must say I'm beyond impressed. This kettle is easier than even using the microwave to boil water. Very easy to use and heats water in a few short minutes! Love the swivel base. The more I use it the more I love it. We've used it for tea, coffee, hot cocoa, oatmeal, and even use it to hear the water in the cup of noodles. Rated 4 out of 5 by Crystal88 from Love LOVE My husband is obsessed with this product. He can't believe how fast it works and how easy it is. Rated 4 out of 5 by Mlou from So far, so good Works well. Heats quickly and shuts off automatically. Swivel feature is perfect for our right- and left-handed family members. Rated 5 out of 5 by Dana21 from Great product to use I really enjoyed using this kettle. I like that you don't have to use the stove and it is easy to use with great features. Rated 5 out of 5 by Jenicorn817 from Perfect kettle for me I received this kettle at the beginning of the month. I drink more tea than anyone I know, and I have used it every day since. Rated 5 out of 5 by kitkat_30 from Keeps it HOT! This kettle is really nice and just the right size. We just got hit with Hurricane Harvey and I used this kettle for my neighborhood to hand out coffee. It worked great! I was able to pour over 20 cups of coffee and it was nice and warm. I am recommending this kettle to everyone I know! Rated 4 out of 5 by RiyaB from Fast heating and water boiling I use a lot of hot water every day, I use hot water to make curries and even when making soup, I tend to add hot water rather than adding room temperature water, that way the whole things takes less time. The electric kettle is super fast, it takes half the time to boil the same amount of water than when done on stove top. The kettle was easy to clean and the base is separate so I can take the kettle to the table without the cord dangling. The kettle also has a strainer on the spout and can be removed if required, which is great if you are brewing loose tea leaves directly in the kettle. The only thing I did not like about the kettle is the ON-Off switch, it is a thin plastic that protrudes outside under than handle and it looks really awkward. A regular switch would have looked much better. Overall a nice piece of kitchen appliance to have. I received the product for free in exchange for my unbiased and honest review. Rated 5 out of 5 by JHicks133 from Wonderful Kettle I had the chance to get this awesome kettle for free in exchange for a review. I had always needed a kettle and had never gotten the chance to get one until now. I was very happy with how well it worked and how fast it worked. Easy to use and works like a charm. I would definitely recommend this to anyone! It's great! Rated 5 out of 5 by teethy from Great Kettle! Love it! Boils the water really quickly and it is very quiet. I am extremely happy with it! Rated 5 out of 5 by carolenaj from so easy to use! i have to say this is my second stainless steel electric kettle...the first one i had was an off brand and it was so complicated..unnecessarily so....it had way to many settings and i never knew if i had the right setting for just boiling water...i love this kettle because its black and decker quality and just has an on off switch....thats all i need to to boil water! !...it holds a lot and is very attractive looking so i keep it out on my countertop all the time...i love it!!!! Rated 5 out of 5 by etrammell88 from Absolutely in LOVE with this product! This electric kettle is super easy to use and super light weight. The actual kettle does not have any cords, making it easier pour and much safer. The base doesn't take up much space, so I can leave it on the counter. Perfect for boiling water for tea or jello. I would highly suggest this product! Rated 4 out of 5 by Tglow from Great Electric Tea Pot I just got this Black and Decker Stainless Steel Electric Kettle and used it a couple times already. It works well and the water boils pretty quickly. I love how it looks on my counter top. So far no complaints and everything works on it. The only thing I noticed as a disadvantage is the top of the kettle doesn't open up real wide and if you have a large hand, scrubbing the inside might be a little problem. Other than that, it's a good product. 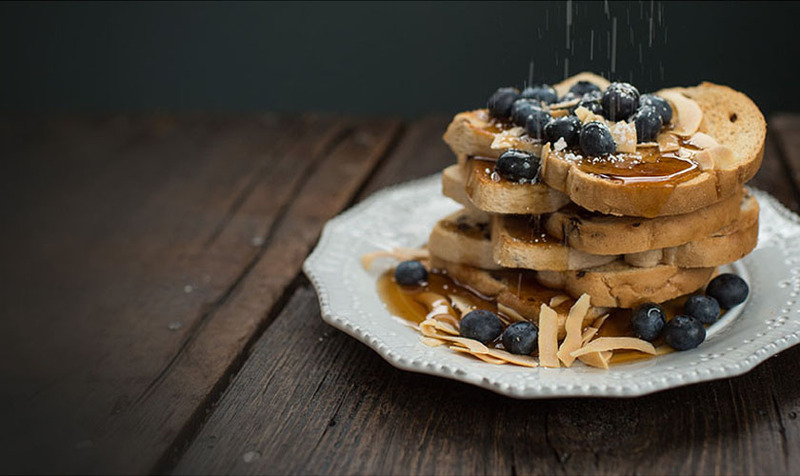 Rated 5 out of 5 by SnackItch269 from Awesome Kettle She gets hot super fast! And is bigger on the inside. I didnt think it would hold so much water. Definatly makes tea time with The Doctor a lot easier since he's always on the go. Rated 5 out of 5 by Channingcouture from Beautiful and works well! This kettle not only heats up water quickly but also looks sleek on my counter and doesn't take up too much room. I am hooked! Rated 4 out of 5 by 4Tea from Good workhorse kettle I love this product and I would recommend it for tea lovers. I would also agree the plastic lid hinge is a weak point and with one broken hinge, I have to be careful filling and pouring from the kettle. New wrinkle is the failure of my anti-scale filter! Rated 1 out of 5 by Mario Greenwood from Stopped working after 12 months I wanted a good quality kettle so I paid more and got less.After a few weeks the bottom started to change colour I had to clean it many times and after 12 months only it stopped working. Rated 3 out of 5 by missmh2k from No Keep-Warm feature + wonky lid design It's .... okay, but. A.) The lid is awkwardly designed. Opening is fine; just press a button. but to close, you have to press down on a heat-protected semicircle that's wayyy back near the handle, requiring you to reach past the hot steam if it's been in use. Am surprised the safe-touch pad thing wasn't at the front lip. B.) I'm very disappointed that this kettle doesn't keep your water warm at the pre-selected temperature but still needs to beep twice at you to let you know it's turning off. That makes zero sense to me. Also, it's a really unfortunate oversight in design. Unless you're right there to grab the kettle when it hits the temperature selected, you'll have to restart the whole thing all over again. Strikes me as very 10-years-ago. Sending it back. Rated 2 out of 5 by Jo anne from Bought in December and now end of January My parents bought this in December as I desperately needed a kettle and the last glass B & D kettle was amazing and worked for like 5 years but now you don't seem to make them anymore. Anyway, the cover is already broken...its plastic...the opening and closing of the cover and if it was steel I don't think it would be so easily broken. Basically it stopped opening when I pressed the button.